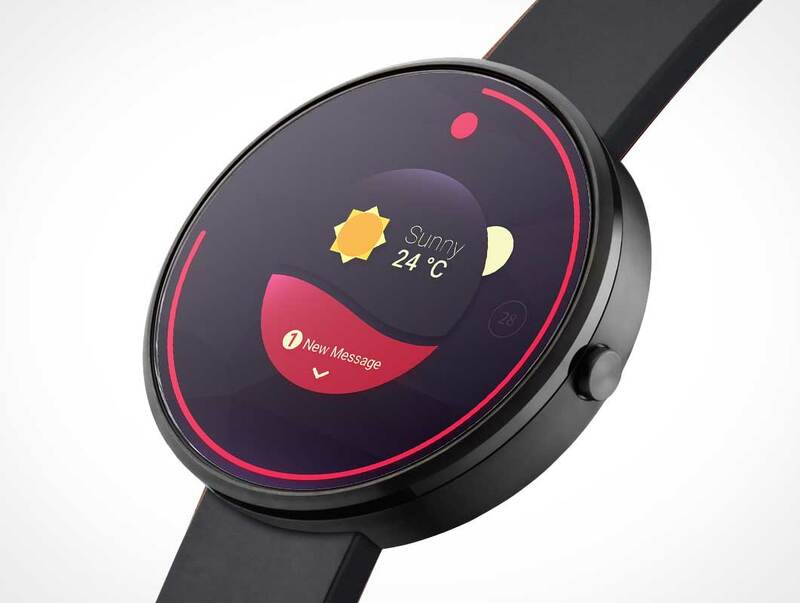 Minimal Android Wear smartwatch closeup mockup. This Photoshop template includes an extreme closeup of an Android wear product shot. This mockup template includes PSD Smart Object layers allowing you to render your smartphone app screenshot onto the android wear instantly.